Dawson County Courthouse Murals, Lamesa Texas. 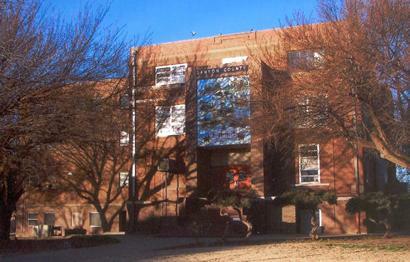 In 2005 and 2006, a former 'guest' of the Dawson County jail was enlisted to paint murals on the empty slabs of concrete over the entrances to the courthouse. His efforts were successful in adding some much needed character to the courthouse's exterior. 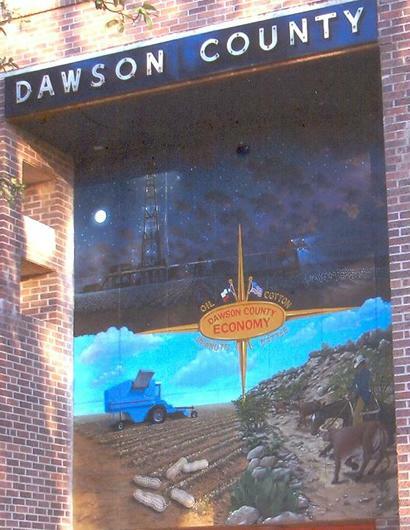 The mural over the East side entrance depicts the people and the history of Dawson County. 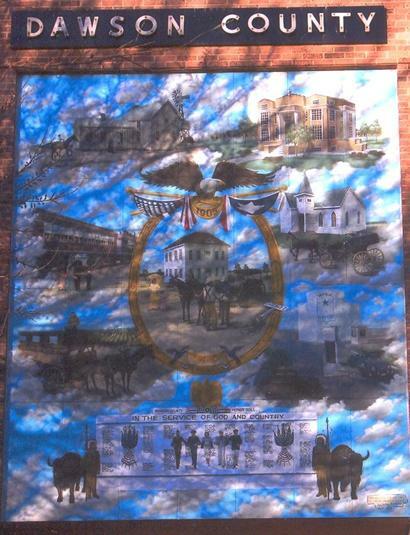 The mural over the South side entrance (the annex) depicts the county's economic endeavors. 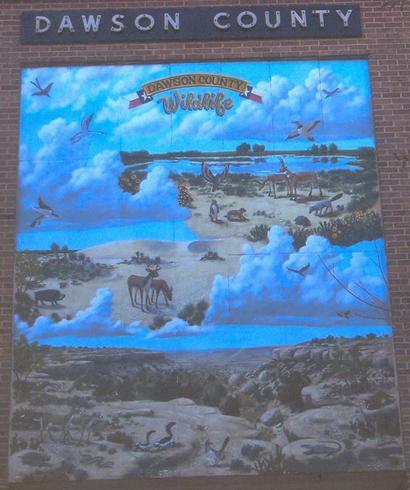 The mural over the West side entrance depicts the abundant wildlife of Dawson County. 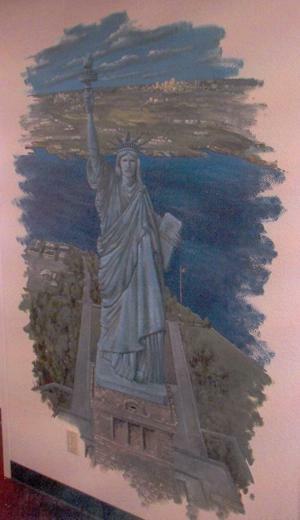 The exterior muralist also supplied a rendition of the Statue of Liberty for the county courtroom.